FOR A LIMITED TIME: ONE MONTH'S FREE RENT & WAIVED APPLICATION FEE!!! THIS GRACIOUS & SPACIOUS 1 bedroom apartment boasts beautiful WOOD floors, all open kitchen with plenty of cabinet, and counter space, and BREAKFAST BAR. Incredible NATURAL SUNLIGHT. 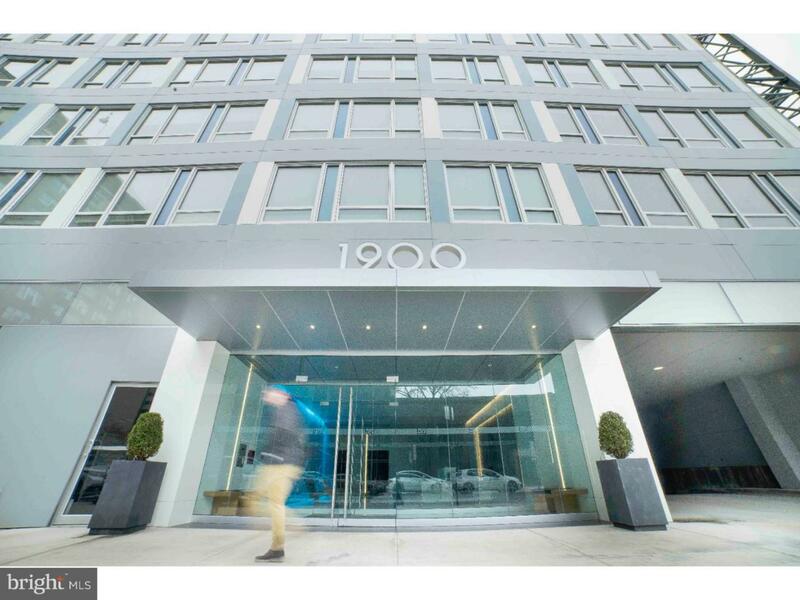 1900 ARCH is truly a lifestyle building. 3000 sq ft state of the art GYM, amazing COMMUNITY ROOM, plus INCREDIBLE ROOF TOP DECK with outrageous views. Just minutes from RITTENHOUSE SQUARE, Penn & Drexel Universities, and some of the city's best restaurants, cafe's, and now just across the street from the new COMCAST Tower. PARKING available for additional cost. Photo's are of model unit.